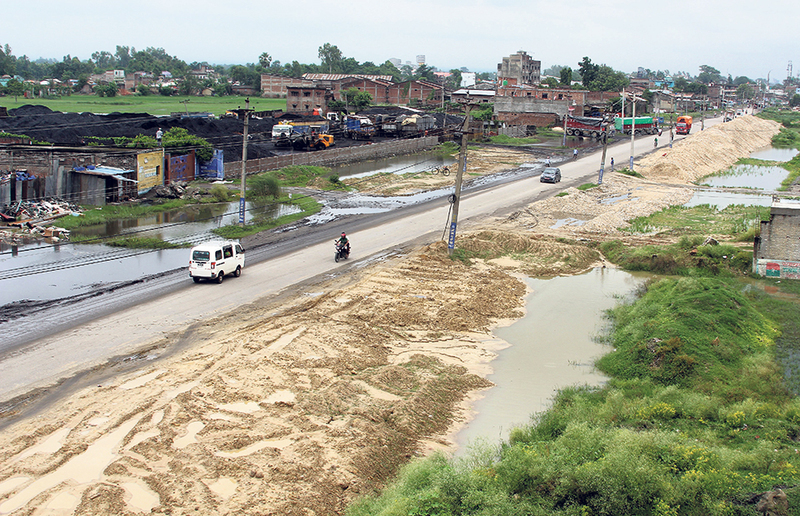 BIRGUNJ, Sept 8: Construction of the Birgunj-Pathalaiya road section, a major trade route of the country, has seen only 50 percent progress so far, although the deadline as per an agreement between the government and the construction companies has already expired. The six-lane road section has been delayed due to several reasons, according to project officials. The construction works had commenced in mid-July, 2016, with a completion timeline of 24 months. The road has been divided into six sub-sections for the purpose of construction. “We have been facing problems of land acquisition near the dry port. And there is also a problem regarding the construction area of drinking water pipeline,” said project engineer Saumya Ananda. The same project authority is looking after the construction of both the roads. However, Bhisma Kumar Bhusal, Chief Administration Officer of Birgunj Metropolitan City, said that the project authority has never sent them formal request to remove infrastructures that lie on the way. Acquisition of 400-meter land toward Simara Bajar and 1,300-meter land toward Jitpur for construction of the 6-lane road has been obstructed right from the beginning. Although the project office has somehow started land acquisition toward Simara, there has been no headway toward Jitpur. “Locals have demanded compensation, we are trying to bring them into consensus,” said Krishna Kumar Poudel, mayor of Jitpur-Simara Sub-Metropolitan City. He further said that the monsoon and snail-pace work of contractors have affected the construction. On the other hand, land acquisition towards Integrated Check Post has already been completed, but issues related to compensation have obstructed the work. Lack of budget is another reason behind the delay in construction work. 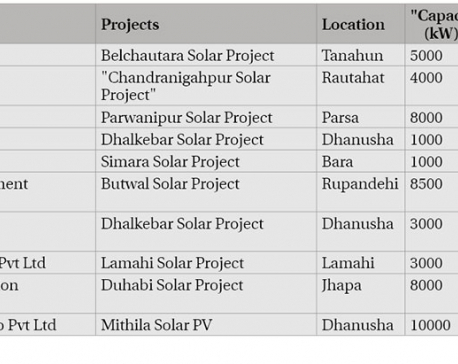 There was an estimate of Rs 2 billion for the project, but the government allocated only Rs 300 million in the Fiscal Year 2015/16. The six-lane road section will connect Pathalaiya of Purva-Paschim highway to Parvanipur located at Lipani Birta of Tribhuvan Highway in Parsa. The Birgunj—Pathalaiya road section is the route to connect the country’s road network to Birgunj border point, from where 70 percent of Nepal’s trade with India occurs.